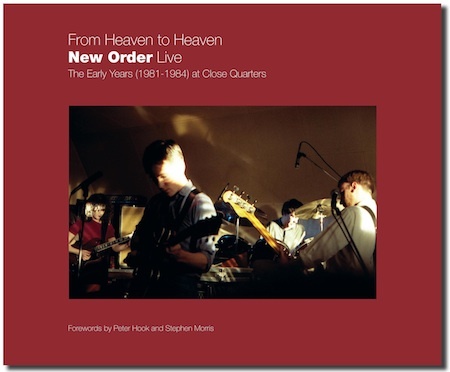 Following on from the numbered edition of 100 only, hardback copies, published in February 2010 and priced at £95, From Heaven to Heaven, New Order Live - The Early Years (1981-1984) at Close Quarters, with forewords by Peter Hook and Stephen Morris, will now receive a full publication in January 2012. 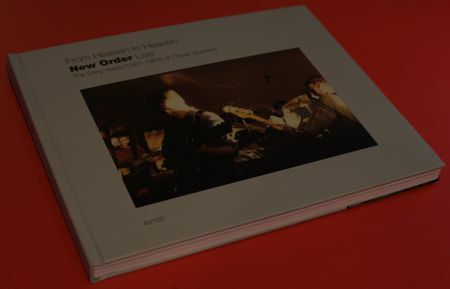 Author, Dec Hickey says, "The new edition is likely to be paperback only, it will be very slightly edited and different in format to the limited edition, but 99% the same book, content-wise... and substantially cheaper.". 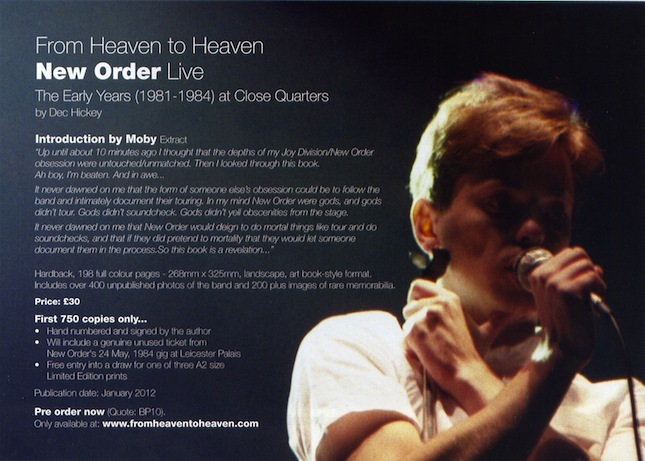 Please note that the photos of the book shown on this page are of the limited edition hardback version of the book which is no longer available.